If you are like most people, you probably have paid very little attention to your garage door springs. While understandable, this oversight is also a bit unfair. There's really no single part on your garage door and garage door opener that is more important to the raising and lowering of the door. That's one reason for paying some respect to the springs. Here's another: Garage door springs are dangerous! Very dangerous, in fact. 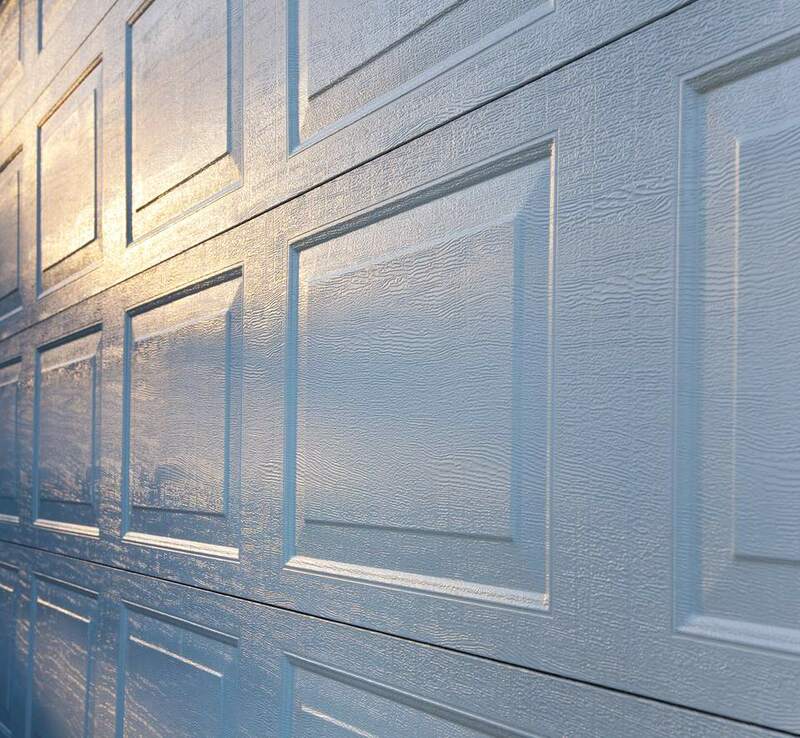 Do yourself a favor and read Garage Door Safety Tips before thinking about repairs or replacements. If you are having trouble with your garage door, it may be due to some problem with the springs. (For more information on diagnosing garage door problems, see Garage Door Troubleshooting.) Garage door springs do break, and they can be replaced. There are suppliers out there who sell replacement springs to DIYers, and there are DIYers who have safely and successfully replaced their own springs. I won't try to convince you not to take that approach if you need new springs, but I will strongly suggest that you carefully weigh the risks versus the rewards in this project before deciding to do so. And I also suggest that you make sure your health insurance premium is paid up. This article is not a how-to on garage door spring replacement. It is intended to acquaint you with garage door springs and some of the maintenance duties you can perform yourself. Garage door springs are tightly wound, meaning they are under a lot of tension. When they break, or when some unsuspecting DIYer tries to fiddle with them, they can cause a whole lot of pain. Wise DIYers know that this is one household chore that is best left to the pros. (For tips on finding a qualified garage door pro, see How To Find the Best Garage Door Installers and Repairmen). If your garage door is old, or if it is showing signs of age, let an experienced contractor inspect your garage door springs. But if the springs are just squeaking and otherwise making a lot of noise, there are some things you might want to do before calling in the troops. A little squeak does not necessarily mean a big problem, any more than an aching head means a brain tumor. Apply some garage door lubricant to the springs and see if it makes any difference. If it doesn't, you may have a serious problem brewing. For suggestions on the best lubricants to use on your garage door, check this site. For some additional advice on reducing the noise of your garage door, see How To Quiet a Noisy Garage Door. The two types of garage door springs discussed above work differently. A garage door with extension springs will have a safety cable on each side of the door running through the spring and attached to the wall or ceiling. These cables are an important safety feature. Extension springs are under a great deal of tension, and if one was to break, it could cause serious injury. Safety cables help control a broken spring. If you have extension springs on your garage door but can't find any safety cables, call a garage door pro and get a pair installed. The best sign of a well-functioning garage door is that it opens and closes smoothly and quietly. When it stops working as it should, the problem can be serious. Try operating the garage door manually (pull the cord attached to the arm connecting the rail trolley system to the door). If the door continues to be difficult to operate, the problem could be that the springs are out of balance. In this case, you can be confident that the problem isn't going to fix itself. And failing to fix it could result in an escalating list of worn and broken parts. Call a pro ASAP.